The comments a parent adds when enrolling in the Parent Portal can be seen in a few different spots. 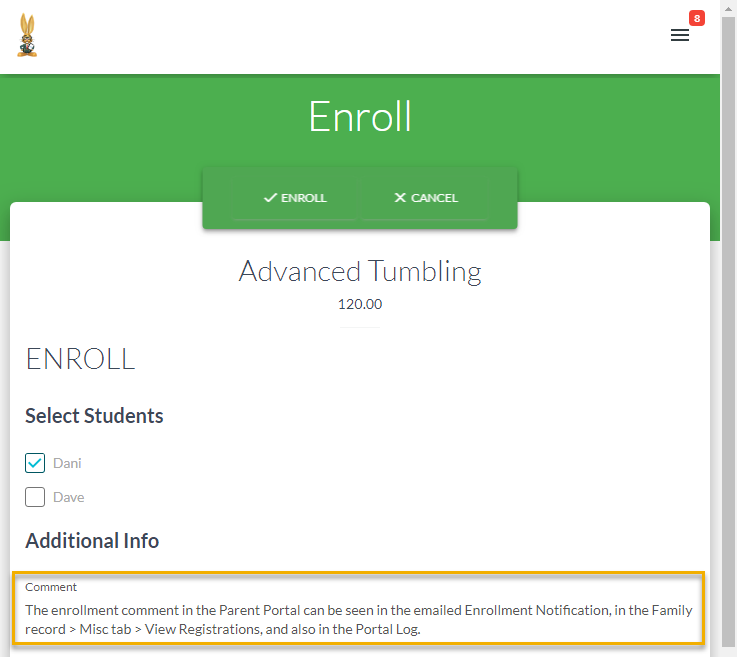 The Enrollment Notification that is emailed to your organization when a parent enrolls in the Parent Portal includes any comments the parent added during enrollment. In the Family record, on the Summary tab, the View Registrations button allows you to view the details of online enrollments. 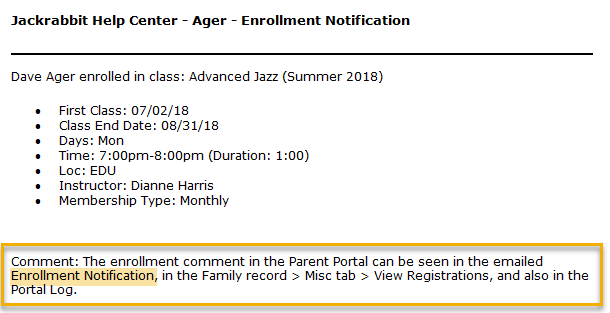 To view the enrollment comments for multiple families at once, the Parent Portal Log from the Reports menu allows you to view comments for portal enrollments during a specified date range using the criteria Filter Option = Enrollments and Filter Text = Comment.